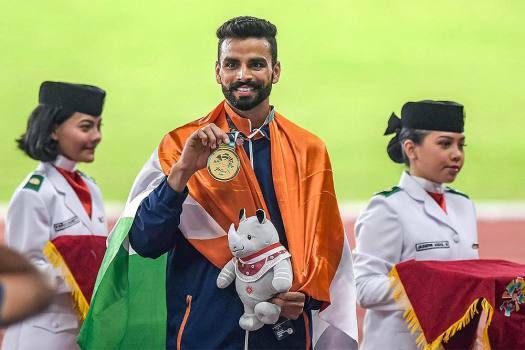 Gold medal winner India's Arpinder Singh at the medal ceremony of men's triple jump competition at the 18th Asian Games 2018 in Jakarta, Indonesia. 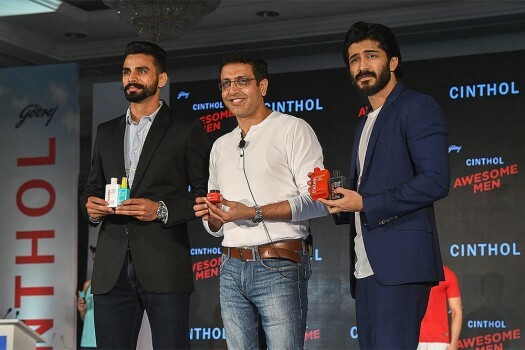 Gold medal winner India's Arpinder Singh at the medal ceremony of men's triple jump event at the 18th Asian Games 2018 in Jakarta, Indonesia. 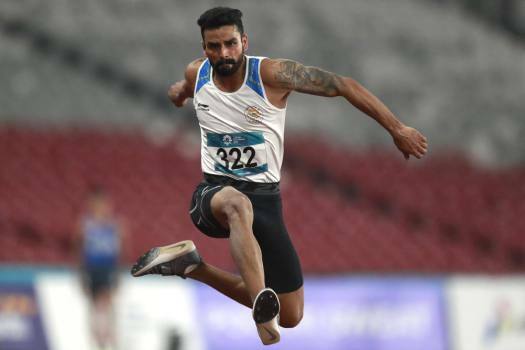 India's Arpinder Singh competes in the men's triple jump finals during the athletics competition at the 18th Asian Games in Jakarta, Indonesia. 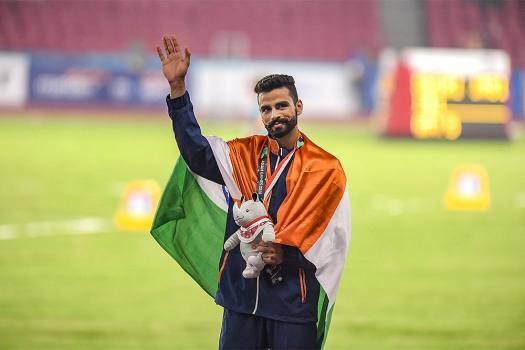 India's Arpinder Singh celebrates after winning the men's triple jump gold medal during the athletics competition at the 18th Asian Games in Jakarta, Indonesia.